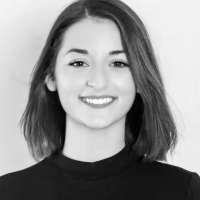 Originally from England, Leila has been dancing from the age of 4 training in Tap, Jazz and Ballet. As a young girl through to her teenage years, Leila continued dancing and performing and went on to train as a dance teacher and proudly qualified with an Associate Certificate in National Tap from the National Association of Teachers of Dancing (N.A.T.D). Leila then continued to dance and teach around the UK alongside her Architecture Degree. After graduating university, Leila moved to Vietnam in 2014 and continued to share her passion for dance. Leila has performed in many prestigious theaters including, The Royal Albert Hall, Sadler’s Wells Theater, Her Majesty’s Royal Theater and The Opera House here in Ho Chi Minh City. Leila joined Dancenter in 2015 and has been teaching Tap, Jazz and Dance Intro for our Kids, Teens and Adult students.